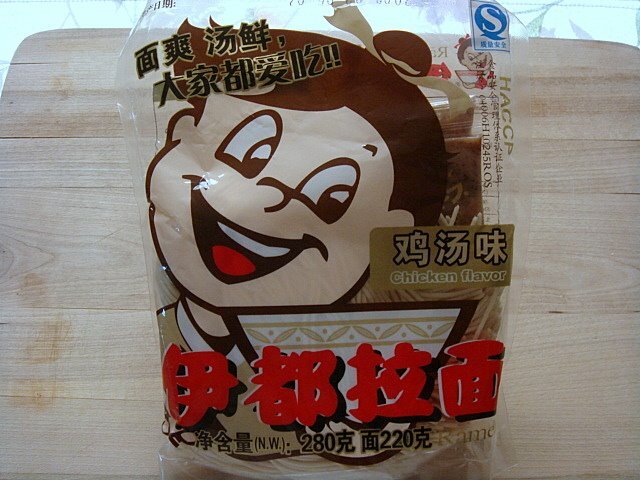 About a month ago, I received an email from a reader in Singapore asking if I would review a brand of packet ramen that is currently one of the top brands in China. Unsure if I could trust food sent to me from a complete stranger, I politely hesitated. But after a few more email exchanges, I realized I was being a bit paranoid. After all, who would pay to send something 8,500+ miles overseas in an attempt to poison me?! I don’t think I’ve pissed anyone off enough to get that kind of special treatment…haha. Anyway, her name is Debbie W. and she recently started her own business that imports select food items into Singapore. Her current mission is to import Yidu Ramen–an instant ramen being produced in Shenzhen, China–and claims it to be “delicious and comparable to those selling at restaurants.” And since I’ve only featured instant ramen that cannot be found in the States (all from Japan), I agreed to review this instant ramen from China. 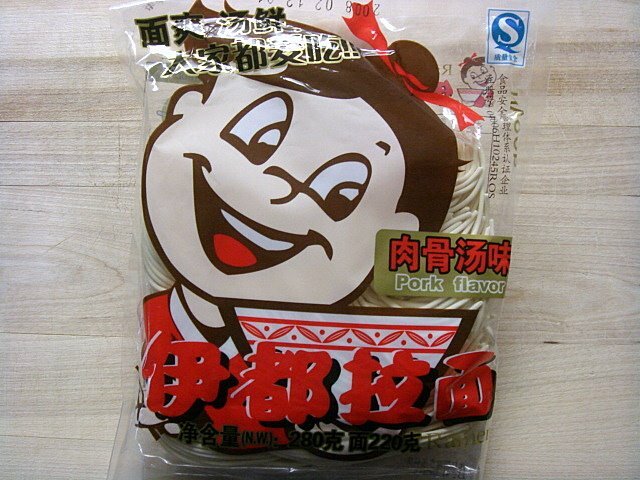 Pork Flavor: Debbie sent me two flavors of ramen with the first being Pork. After eating several great instant ramen from Japan, it may be hard to give Yidu a fair review, but I will try my best. 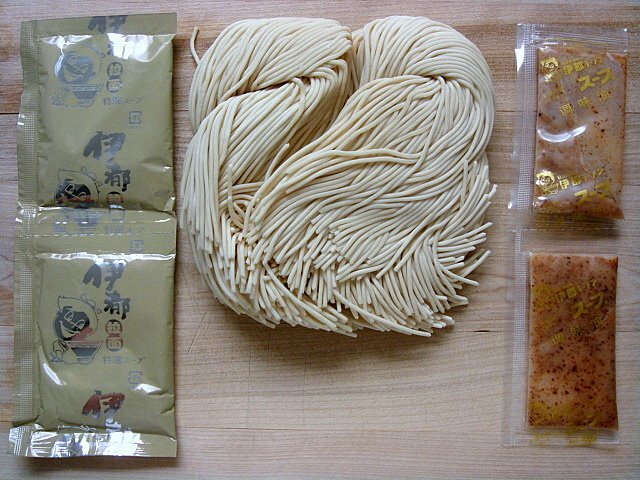 The contents include two servings of noodles, powder soup, and seasoning oil. The directions say to add 1 cup (8 oz.) of water to the soup. Hmm…1 cup seemed scarce so I decided to prepare both servings in one bowl (except for the noodles, I kept those to one serving). 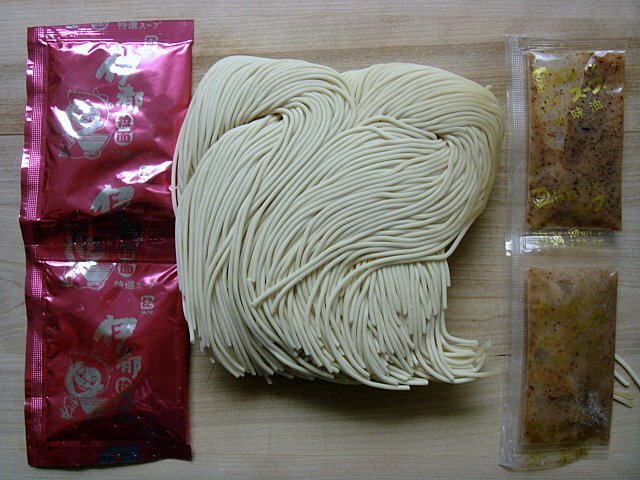 Noodles: Fine Wheat Flour, Water, Cooking Wine, Sodium Hydroxide. Powder Soup: Pork Extract, Salt, Water, Maltodextrin. Seasoning Oil: Pork Flavor Soup, Sesame Oil, Scallion, Garlic, Pepper Powder, VE, VC. The soup was…well to be honest it didn’t impress me much at all. It looked like tonkotsu and smelled slightly familiar, but the flavor was a little weak. I may have been expecting too much, but I would have liked to taste more garlic and pork. The spaghetti-like noodles were also quite disappointing. They failed to soak up any of the soup and didn’t really taste like anything. I really, really wanted to like this ramen since Debbie went so far out of her way to send it to me. But unfortunately, I have to tell it like it is. Hopefully the chicken flavor tastes better. Chicken Flavor: The second flavor was Chicken. But not to mislead you, this soup also contained some Pork. The contents were the same as Pork flavor above with the exception of the powder soup. Hmm…there’s also some soybean sauce in the soup. 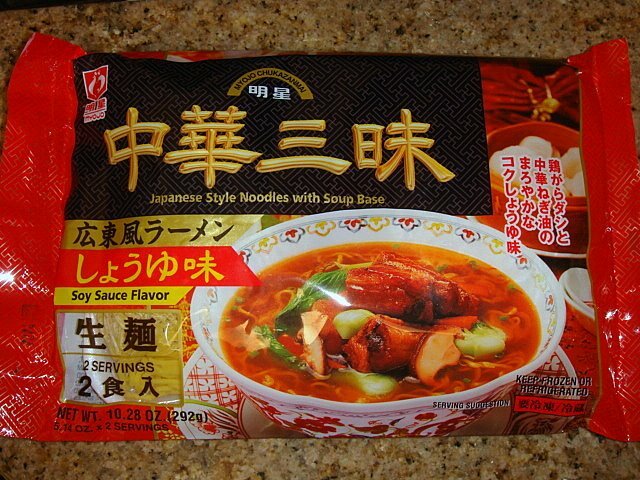 Could this be like a chicken flavored miso ramen? 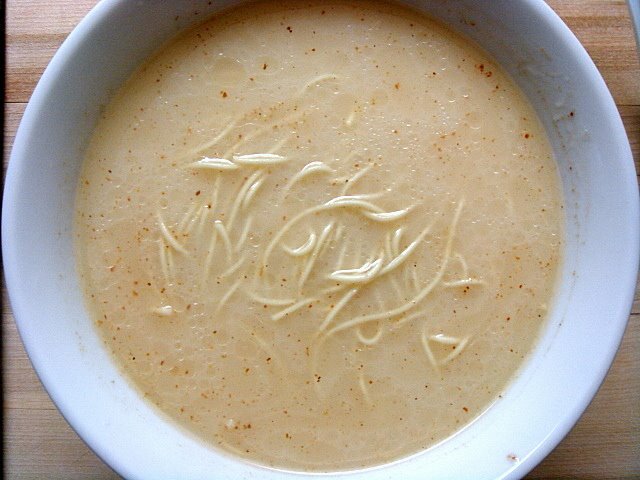 Powder Soup: Chicken Extract, Salt, Kelp, Soybean Sauce. I actually enjoyed this Chicken flavor more than the Pork. It had an interesting taste that was distinctly Chinese (if that makes any sense), which made it quite unique and satisfying. 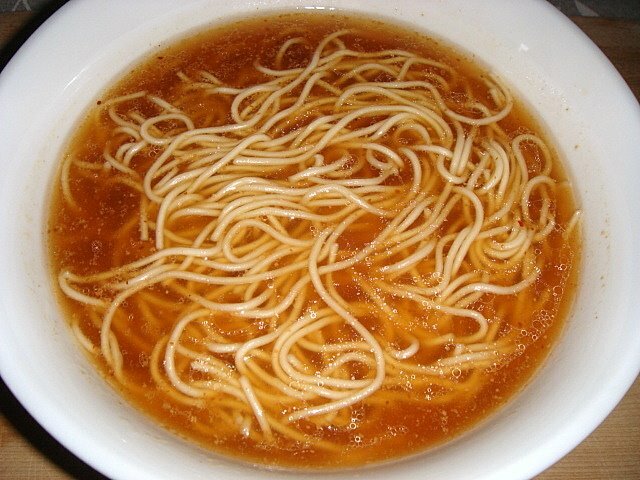 The noodles even soaked up this soup a little better, but that still couldn’t cure their spaghetti-like texture. Overall, I’m very thankful for being able to try these two flavors of ramen. I may not have enjoyed them as much as I would have liked, but they are still good quality instant ramen. Best of luck to Debbie on having these imported to Singapore. I hope Yidu can improve and become a success. 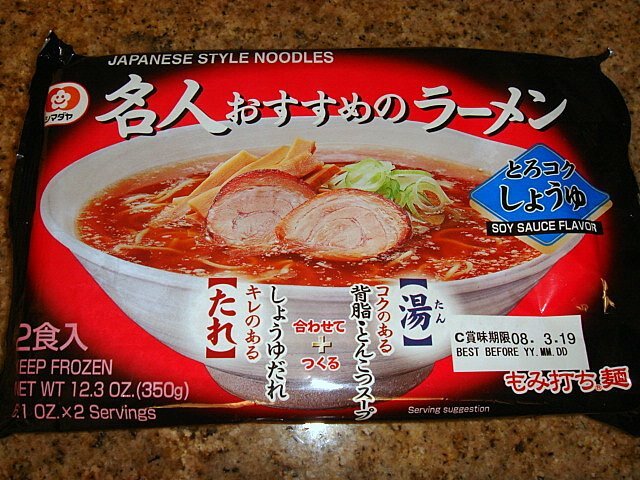 If possible, you may want to try and import some of the instant ramen I’ve already featured on this blog. There are also quite a few great instant nama ramen selling here in the States that could probably be easily imported from Japan if they aren’t already. A couple of my favorites are pictured below. Maybe I can send you them sometime. Thanks again Debbie! Hi Deb. Great news!! Glad to hear it! The website looks good too. Hooray! Hi Keizo,just want to update you on my progress. The first batch of Yidu Ramen was sold out completely in 5 days! I’m now very busy doing promotion at another location in Singapore. You can check out http://www.yiduramen.com when you are free:)Cheers! Good Luck Debbie!! How exciting! Wish I could be there. Hi Keizo, thank u so much for the write up! Sorry for this late reply, I’ve been very very very busy lately with the arrival of my imported goods.The Yidu ramen will reach Singapore end of this week, next week, I’ll be busy promoting and selling them. Wish me luck!